Jesikah and Jon were married in an intimate garden ceremony in the backyard of the bride’s parents’ home in Prescott, WI. It was truly an honor to spend the day with this couple and their lovely families. Congratulations to the beautiful newlyweds! 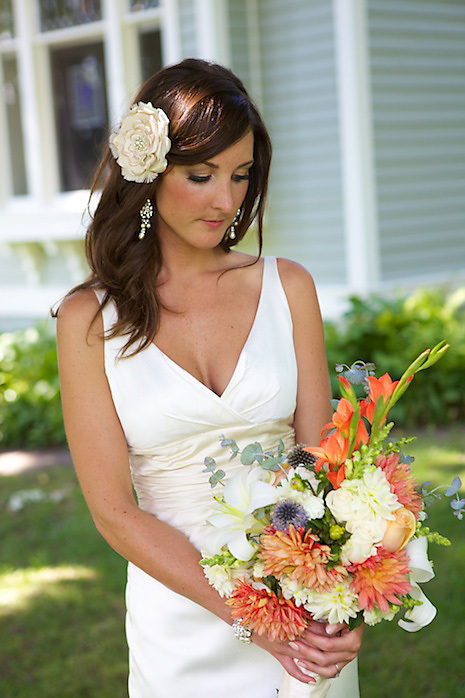 Jesikah made her bouquet that morning with flowers from the downtown St. Paul Farmers Market — isn’t it gorgeous?! Wow! What a beautiful bride and handsome groom! The day was spectacular. The company fabulous. The words spoken….sweet. We loved your special day! It went by too fast. Congratulations!! Hey! She cut my hair and we talked about great you are, Anne! Small world!